Fashion is a topic that I rarely cover on my blog these days, I still enjoy clothes shopping and browsing ASOS on a probably too regular a basis, but it is just something that I've never really been good at writing about. I don't put tons of effort into my outfits and I don't have the latest clothes to share but when a new season comes around I do enjoy refreshing my wardrobe a bit. 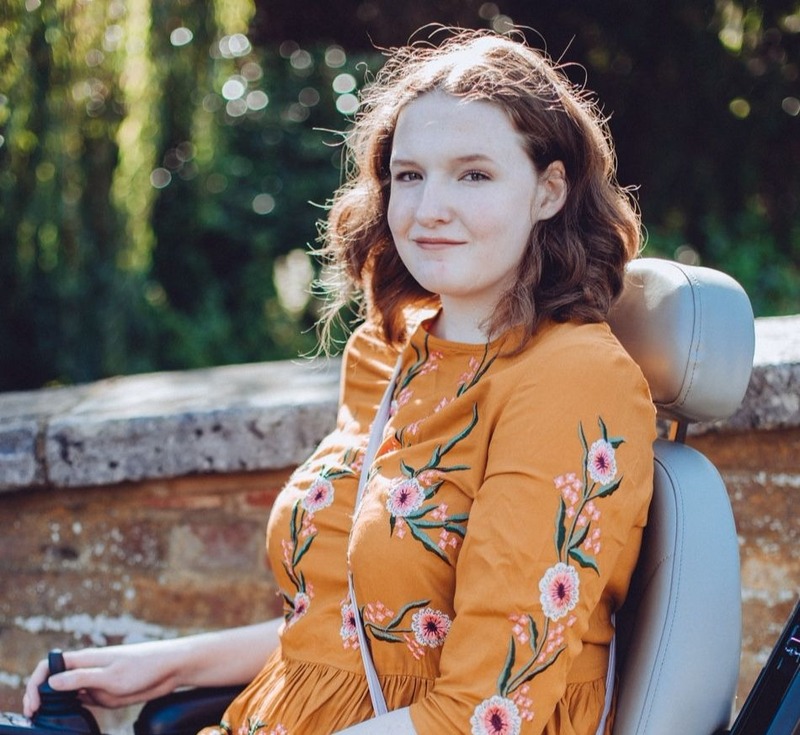 Also I am toying with the idea of doing a few OOTDs as well in the future, I'm super confident in my powerchair now so I have no problem with it featuring in my photos instead of me standing up for them in tons of pain. I thought if I am going to attempt to do the odd fashion post then a good old wishlist post would be a great way to ease me into it, also it's day 12 of blogtober and honestly my ideas are starting to wear thin! It's a New Look only wishlist because that is the main place I shop these days, they have a decent Tall range and are affordable yet good quality. This will be the first Autumn that I will be shopping for clothes that specifically look best when I'm sat down, in my powerchair. It's a totally different ball game when shopping like that, I can't get anything too long or it will catch in my wheels, I need to be really warm as I'm sitting still but of course I still want to look good. A new coat is first on my list and I'd love something that is more a midi length and of course something that will fit my long arms so the grey longline coat caught my eye straight away. I always tend to go for just plain black coats but I fancy stepping out of my comfort zone a bit this year! The midi dress and midi skirt are also pieces that would help me to do that too, I've never tried the midi trend before but it would be perfect for me I think as short skirts and dresses get even shorter when you sit down! I recently bought a new bomber jacket and I've been on the look out for some t-shirts to go with it and I think the grey star print t-shirt in my wishlist would go perfectly. It's simple but not plain and I haven't got anything in my wardrobe like it yet. I don't think I can say the same for the striped long sleeve top though, my wardrobe has more than enough of these kinds of tops but one more wouldn't hurt, right? The black jumper isn't a huge statement piece but it's only £7.99 and it comes in loads of different colours, great for stocking up on some basic pieces to keep you warm I think. Talking of keeping warm, I'm definitely wanting to get a cute new hat this A/W and this light coloured one really stood out to me, right now most of the hats I've seen have poms poms on and whilst I don't have a problem with them I think sometimes I just preferred something a little more toned down. Finally is the gorgeous floral dress which I think would go so nicely with a pair of tights, boots and my leather jacket, a pretty but easy Autumn outfit! 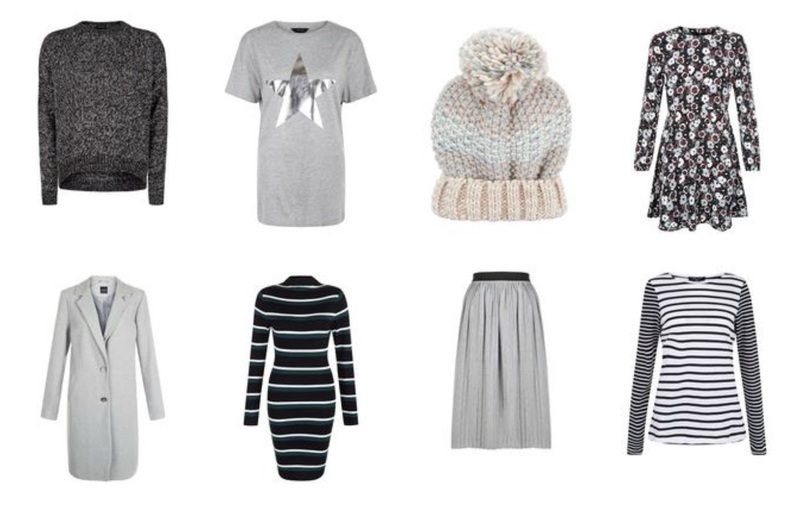 What's on your clothing wishlist right now? Any pieces you'd love to get for Autumn and Winter?